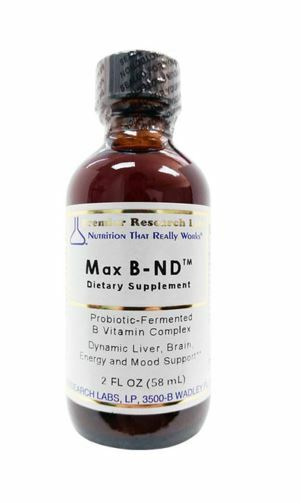 Probiotic cultured, high energy B vitamin complex liquid. Live source energy support for the brain, liver, adrenals, immune system and mood balance. Max B is not derived from coal tar and petroleum products. Feeling tired and worn out? This is the product for you!